The statute of limitations in Texas is four years for lawsuits challenging the terms of a trust or claiming the trustee breached his fiduciary duty -- duty to act in the beneficiaries' best interest. In other words, legal action against the trustee must be brought within four years of formation of the trust or within four years of the breach of fiduciary duty. The settlor can reduce the four-year limitation period to two years in the trust formation documents, but the limitation period can never be reduced to less than two years. The aggrieved beneficiary loses the right to sue after the statute of limitations expires. 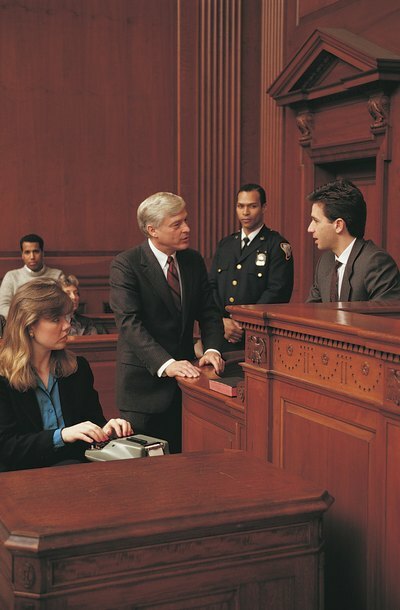 The statute of limitations period for trust litigation begins to run when an event occurs that causes harm to the beneficiaries, such as misconduct by the trustee. However, in some situations, the beneficiaries cannot reasonably be expected to promptly discover the event. The statute of limitations is tolled (stopped) in such cases until the breach of fiduciary duty is actually discovered or reasonably should have been discovered. The statute of limitations also will be tolled in situations where the beneficiaries are mentally incompetent at the time of the event. When the beneficiary is a minor -- under 18, in most cases -- the statute will be tolled until she turns18. Under Texas law, a trustee has a fiduciary duty to exercise ordinary skill and prudence in managing and investing trust assets. A trustee also has a duty of loyalty and fidelity, duty of good faith and fair play, and duty of confidentiality. This means a trustee is not allowed to make speculative investments and must generally diversify investments to reduce the risk of the trust's assets losing value. A trustee must also exhibit total loyalty to trust beneficiaries and avoid conflicts of interest. A trustee who breaches a fiduciary duty and causes harm to the beneficiaries is liable for monetary damages, so the beneficiaries can be made as close to whole as possible. The trustee will be liable for the difference between benefits the beneficiaries actually receive from the trust and benefits the beneficiaries would have received without the breach. As is the case with grantors in a last will and testament, trust settlors sometimes include a provision in the trust formation documents stating that anyone who challenges the trust will forfeit his rights as a beneficiary. Courts in Texas will not enforce these clauses when the beneficiary has just cause to sue and acts in good faith. However, forfeiture clauses will be enforced against beneficiaries who do not have good reasons for a legal challenge or sue in bad faith. Can a Trust Be Viewed by Beneficiaries Before the Death of the Testator?